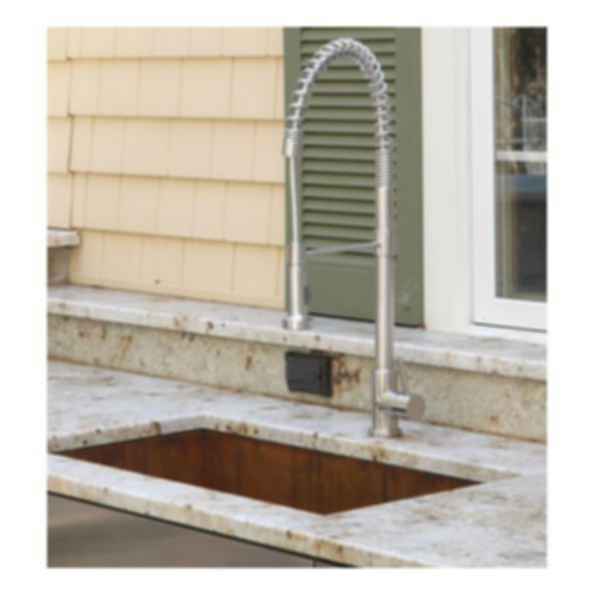 Danver's Outdoor Sinks and Faucets are available in many sizes and configuration. Whether you are playing bartender for a few or cleaning and cooking for many, we offer the size and configuration that will accommodate your needs. Danver's Sinks and Faucets are crafted from high quality 304 series stainless steel. They have full undercoating with sound dampening pad. All are fully rated SGS and CSA tested products, and come with the manufacturer's limited lifetime warranty.